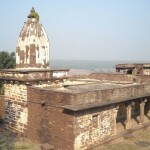 Situated on the right bank of the Urr River, Boodhi Chanderi, Chandrapuri of the ancient past, was a large settlement of the Gurjara Pratiharas and possibly their capital. The place was first discovered in 1865 by the Indologist and first director of the Archaeological Survey of India, Alexander Cunningham. Later, the German traveller Claus Boone also visited the place. The site consists of the ruins of around 55 temples as well as possible secular remains, all surrounded by a fortification wall. The temples are mostly of Jain affiliation. Three of these Jain temples have come under the protection of the Archaeological Survey of India and are hence in a much preserved state as compared to the others which lie in state of serious dereliction. 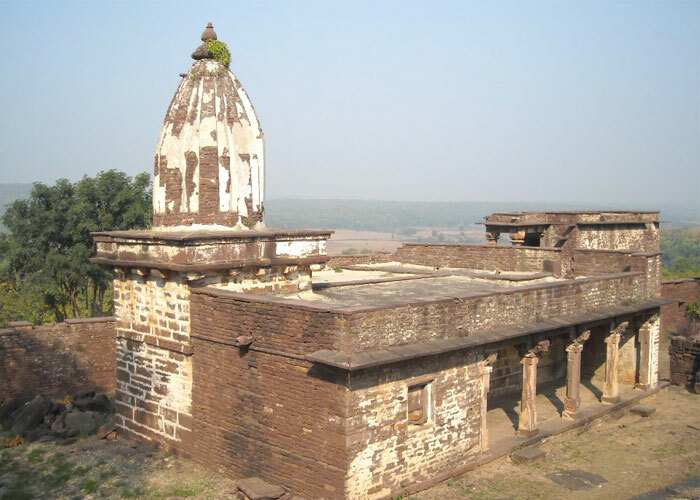 Surprisingly, some of the structures possibly saw restoration during the Bundela period as some of the superstructures have features of the Bundela architectural style while the temple structures below are clearly of the 10th or 11th century. One inscription, dated to the beginning of the 16th century, has been found carved on a sati pillar which mentions the name of the place as Nasirabad, after the ruler Nasiruddin Khilji. This implies that a small settlement might have existed even during the Muslim rule and it might not have been as abandoned as it is today. Lying to the north of the Chanderi town, Boodhi Chanderi is reached by first going 12 kilometres along the State Highway No. 19 and then turning west for an 8 kilometre long off-road track. As the spot lies within dense forest and away from habitation, it is advisable for travellers to go in a group. The place also affords great natural landscape with the Urr River and the Vindhyachal hill range.